In addition to my recent Muji pen purchases, I also picked up a variety of stationery items as part of my recent Muji haul. My favorite purchase of the lot is the High Quality Easy-Open Notebook (A5 - Ruled). A5-sized notebooks are at the center of my daily workflow, so it's a product category that I follow closely. Since I use these books daily and have particular preferences, I generally research new books extensively before buying. This was a rare impulse notebook purchase, but it's one that I'm quite pleased with in the end. 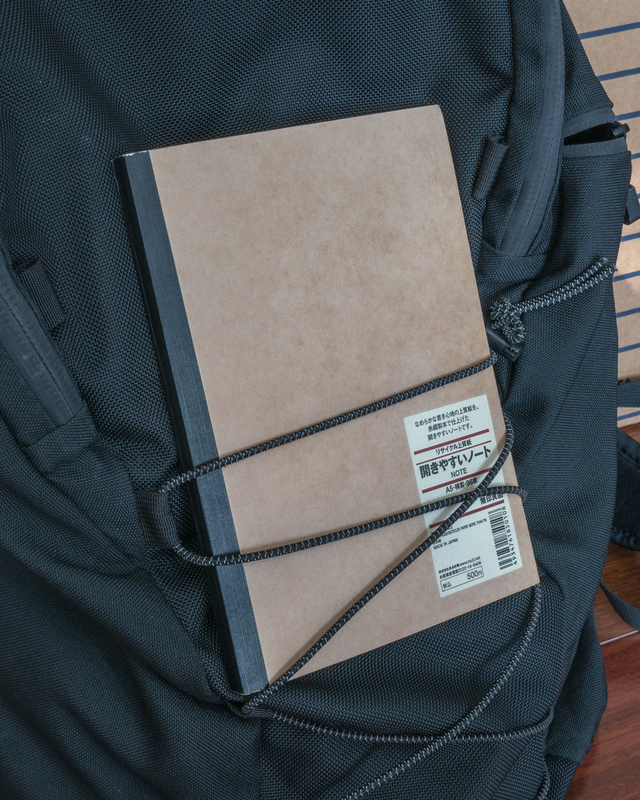 Like most Muji items, the High Quality Easy-Open Notebook has a no frills appearance. But it's no frills done well. Its kraft cover stock is unquestionably a step down from a Rhodia Webnotebook or Baron Fig hardcover, but it's pretty solid as softcovers go. 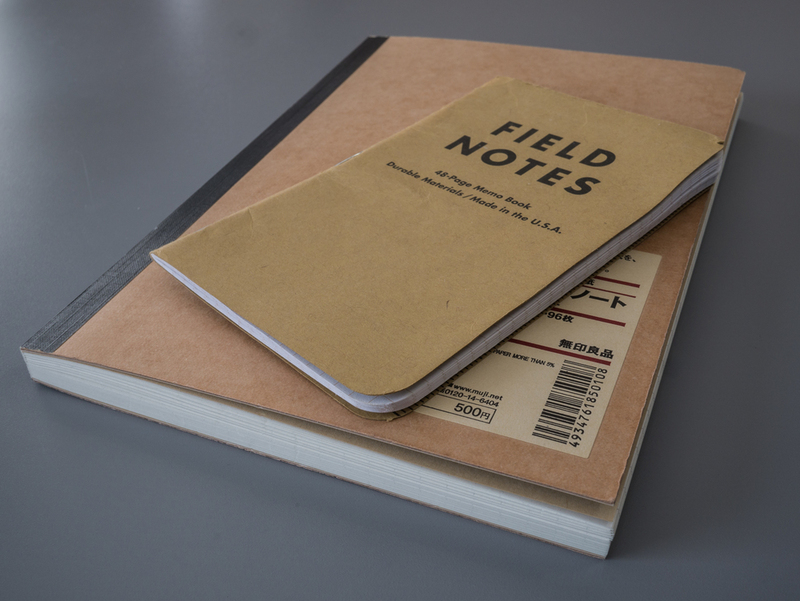 I'm also conditioned by Field Notes to associate kraft stock with an "I work for a living and need durable, no B.S. tools" vibe. 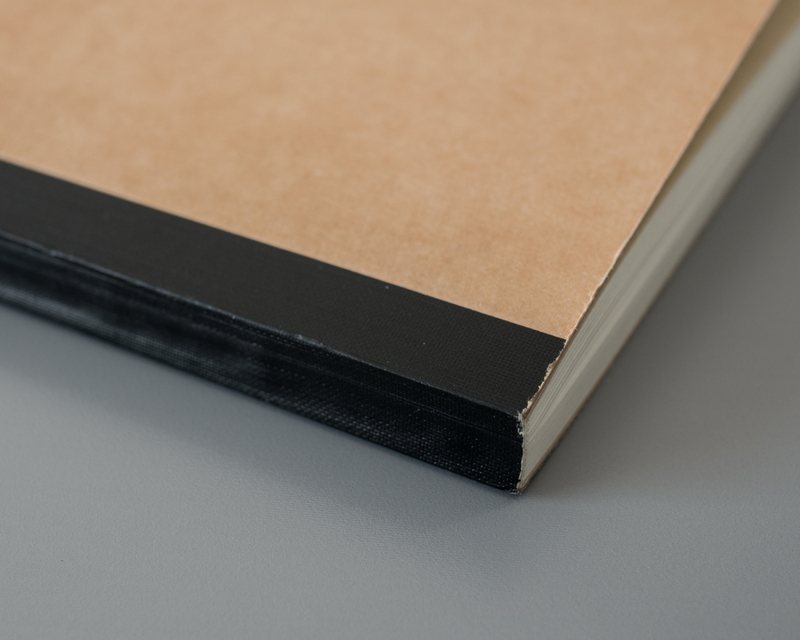 The notebook has a black tape binding that has held up well through several weeks of daily use. The book also lays reasonably flat when open. It has the same 96 sheets that you will find in something like a Rhodia Webnotebook, but without the added thickness of a hardcover. As I've mentioned before, I have a strong preference for dot grid paper when it comes to my Bullet Journal use case. Muji does appear to make dot grid books, but I did not find any in stock at the "Muji to Go" store I visited. 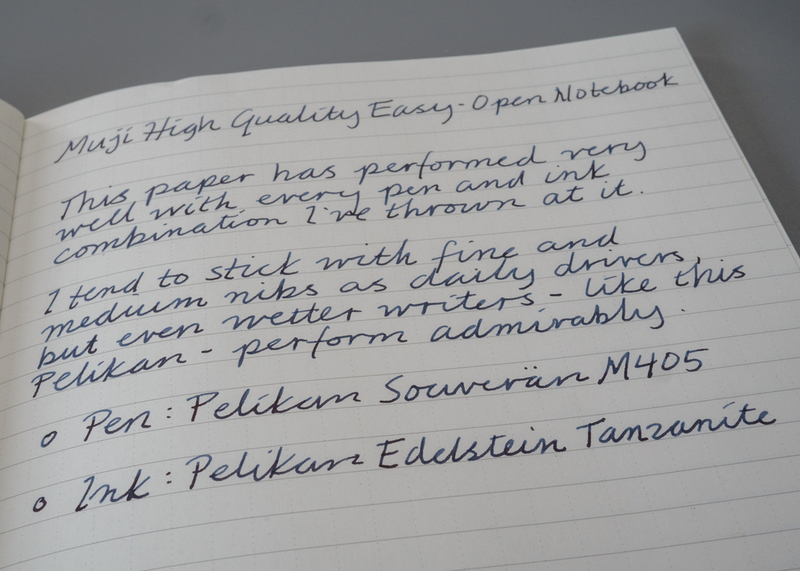 I've been trying to keep an open mind to ruled paper, and the High Quality Easy-Open Notebook has a really interesting rule. 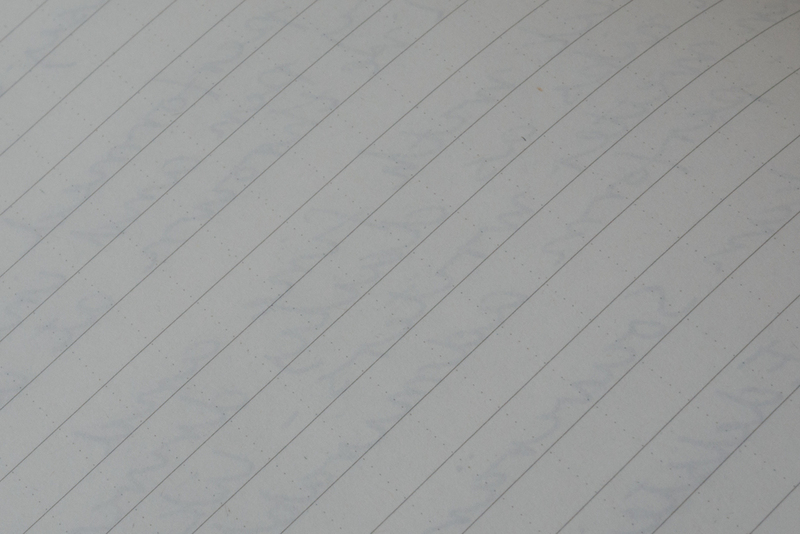 It is first and foremost 6mm horizontally ruled paper, but there is also a very faint dotted 6mm vertical rule. 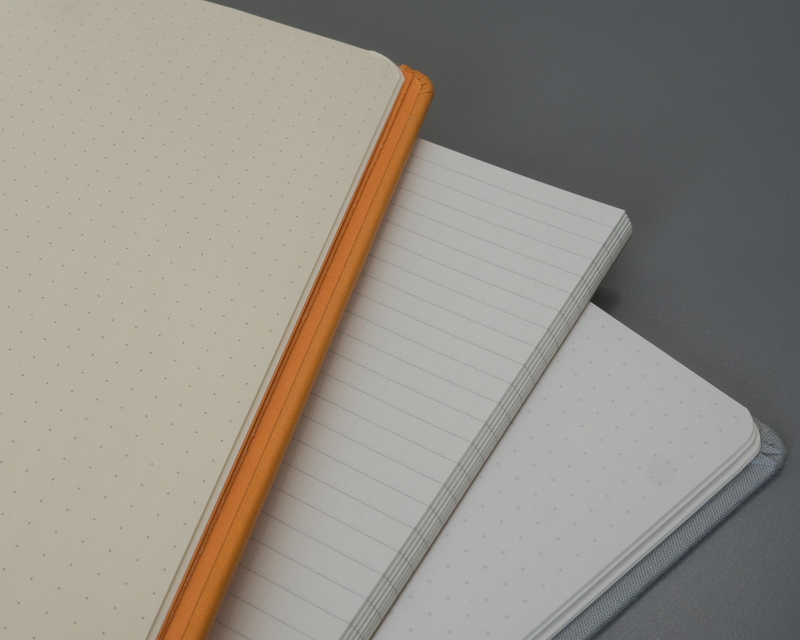 The effect is that it looks and feels like standard horizontally ruled paper but also offers some of the benefits of grid paper when you look closely. The 6mm lines work much better for my handwriting size and generous use of skipped lines than the 8mm rule in the Clairfontaine notebooks I've reviewed previously. I must admit that having a full horizontal line instead of dots does make it a bit easier to write neatly. And the subtle horizontal rule helps me draw uniform check boxes and line up bullets and sub-bullets as effectively as I can on a dot grid. At same time, I find it less visually distracting and better suited to my writing size than something like Doane Paper gridlines. In a perfect world, the horizontal lines would be just a little bit darker, since I do sometimes have trouble seeing them in low light situations. But this is a minor nit. The paper is in Clairefontaine territory when it comes to smoothness, but it's lighter weight and a bit more absorbent. Muji does not publish paper specifications, but I would guess that it's in the 50-60gsm range. The paper is an off-white that's a nice happy medium between the more pronounced cream color of the Rhodia Webnotebook and the brigher white in the Baron Fig. Based on the paper weight, I was skeptical about how it would handle fountain pens, but it performs admirably well. I generally use Japanese medium or Western fine nibs for my day-to-day work, and I've had zero issues with feathering and bleeding. There is definitely some show-through. It doesn't bother me at all, but it's significant enough that it could be distracting to some. At a list price of $8.75, this notebook is an outstanding value. Most of the comparably sized hardcover notebooks I use fall in the $16-$19 range. 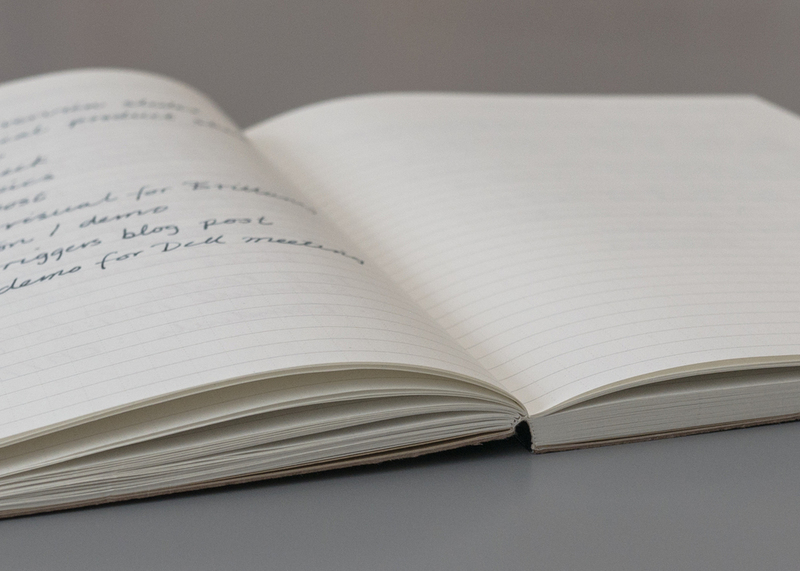 While you are not getting the premium leatherette or fabric hardcover that the more expensive books offer, I like the paper in the Muji notebook as much or more than any other A5 notebook paper I've used. I bought the Muji High Quality Easy-Open Notebook more as an experiment that as something I expected to stick with, but I'm actually quite smitten with it. The paper characteristics and unique ruling suit my pens, ink, and Bullet Journal workflow extremely well. While I like the kraft cover stock, I do miss the premium feel of a hardcover notebook. However, I'm happy enough with the paper and price point that I would definitely consider investing in a nice leather or fabric A5 notebook cover to pair with it. At 96 sheets, it may be a bit too thick for the two-book Bullet Journal approach I am considering. However, Muji does stock 30-sheet notebooks as well, so I will likely test those out in the future when the opportunity presents itself. While I'm not sure I'm capable of not tinkering with new stuff in this product category, I definitely see more Muji High Quality Easy-Open Notebook purchases in my future.